Home Off Beat	Planning a Summer Wedding? Follow this Guide! Planning a Summer Wedding? Follow this Guide! Why are summer weddings so popular? There are many reasons couples choose to have their ceremonies held this time of year, particularly because it offers great weather. Those who are looking to host an outdoor wedding can easily do so during this time of year. Weddings by the beach, lake or at a park are ideal locations for summer occasions. 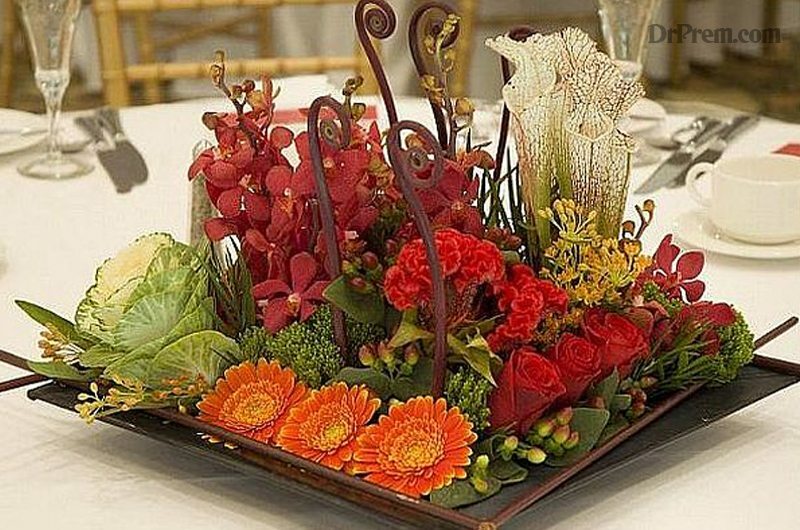 You can buy beautiful summertime edible arrangements to decorate the guest tables with. If you’re considering planning something similar for when you exchange your “I Do’s”, you can use the following outdoor wedding tips. This is important for multiple reasons. If you live in a part of the world where summer gets very hot, then you may want to consider starting indoors with A.C. until cooler evening weather emerges. The time of day of your wedding will also play a role in accommodating the comfort of your guests. You have to determine whether saying “I do” on a terrace overlooking the ocean is better or doing it inside of a cathedral. If you choose to be outdoors, consider keeping everyone cool using rented A/C units and portable fans. You can find options that have low sound levels, so people don’t have to shout over the motors. They also won’t interrupt the music or band. Place these strategically throughout the area, so everyone is comfortable. Another option is to buy handheld fans and place them on the tables where your guests will be sitting. Make sure there’s one for all of the guests. It’s really important to have shade if you’re going to have your wedding outdoors. You can set up tints and hand out sunscreen to your guests, so everyone is protected. A spray bottle of high-SPF can also be placed at the tables. Check around to see if there is a venue you can use that offers natural shade. This way, you can sit tables and chairs beneath them. Hopefully, there’s a nice breeze that everyone can enjoy. Summer means heat and heat means lots of sweating. You’re going to need to help everyone stay hydrated by providing bottles of ice water. You can even get creative and have the water served in stylish glasses with a slice of lime, lemon or orange on the side. You can also have a cooler stocked with ice and water bottles as back up. You definitely want to avoid metal and plastic chairs, which can get very hot when sitting out in the sun for hours. You should opt for chairs with cushions and/or fabric covers. The tables should also have table cloths that are light colored to keep the tables from getting too hot. Wearing your hair down on a hot summer day will leave you sweaty and uncomfortable. You can avoid this by having your hair styled in an up-do or ponytail. Make sure your wedding dress also accommodates the hot weather.